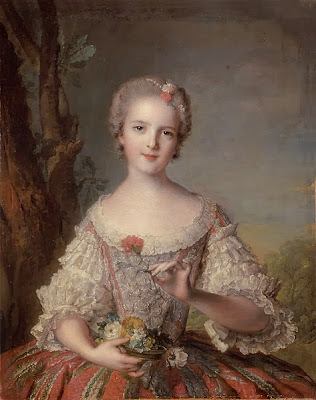 Born at Versailles on 15 July 1737, Princess Louise of France was the youngest daughter of King Louis XV and his Polish Queen Marie Lescinska. 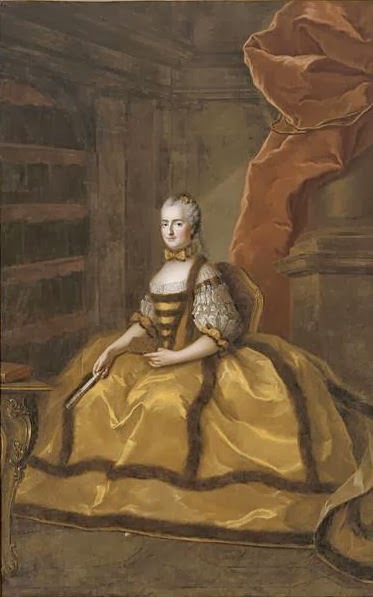 The baby wasn't raised at the splendid court of Versailles, but was instead sent to the faraway Abbey of Fontevraud, where she joined her older sisters Madame Victoire, Madame Sophie, and Madame Therese (who died aged 8). One day, little Louise reminded one of the nuns that she was the daughter of the King. Undaunted, the nun simply replied: "And I am the daughter of God". The stay at the abbey would have a profound impact on the young girl. Madame Louise was destined from birth to a prestigious marriage, but all her father's attempts to find her a suitable husband failed. Louise was very relieved. The devoted princess preferred the quiet and religious life of a nun to the luxurious one of a married princess. 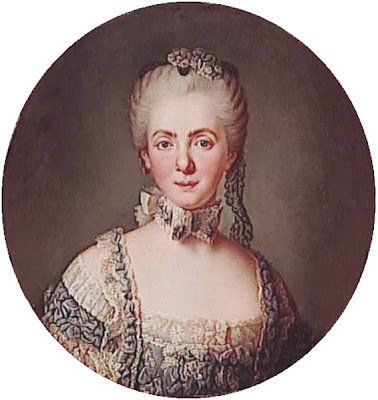 When rumours started circulating that her father may betroth her to Charles Edward Stuart, more famously known as Bonnie Prince Charlie, Louise supposedly asked: "Should I not be very anxious since I am destined for a husband, I who want no other than Jesus Christ?" In 1750, Louise returned to Versailles, where she lived for 20 years. But court life wasn't for her. So, to the amazement of everyone, she asked her father permission to become a nun. The King had always opposed her daughter's wish but, in 1770, he finally relented and granted it. 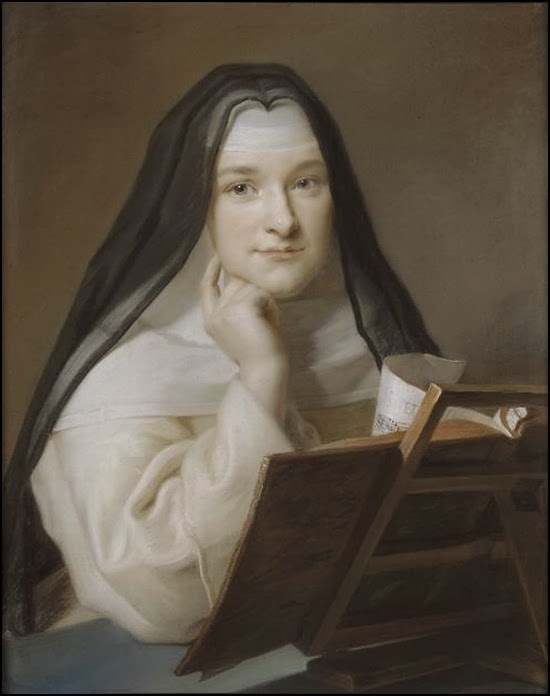 So, shortly after the young Archduchess Marie Antoinette of Austria arrived at the French court, Louise left it to join the convent at Saint-Denis, a very rigorous and poor Carmelite monastery. 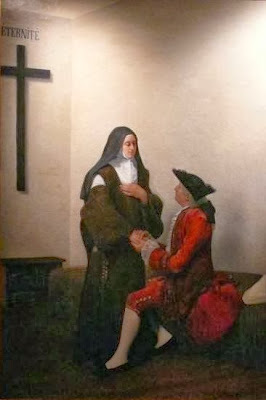 On 10 September 1770 she took the habit and the following year, on 1 October, she gave her vows. 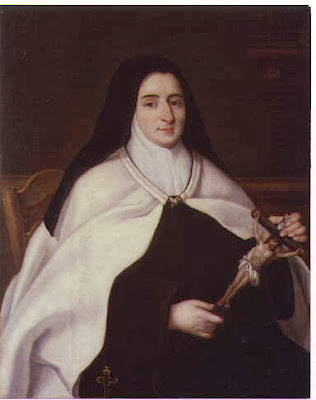 She also took the name of Thérèse of Saint Augustine. The princess always insisted that she be treated just like all the other nuns. She even refused assistance when she had to kneel, something that was difficult for her due to an injury sustained as a child. In 1773, she became prioress of the convent. She served in that role until 1779, and, again from 1785. Louise died at Saint Denis on 23 December 1787. Her last words were: "To paradise! Fast! Full gallop!". She was interred at Saint Denise where her tomb, together with those of other royals, were desecrated during the French Revolution. On 19 June 1873, Pope Pius IX declared her Venerable.